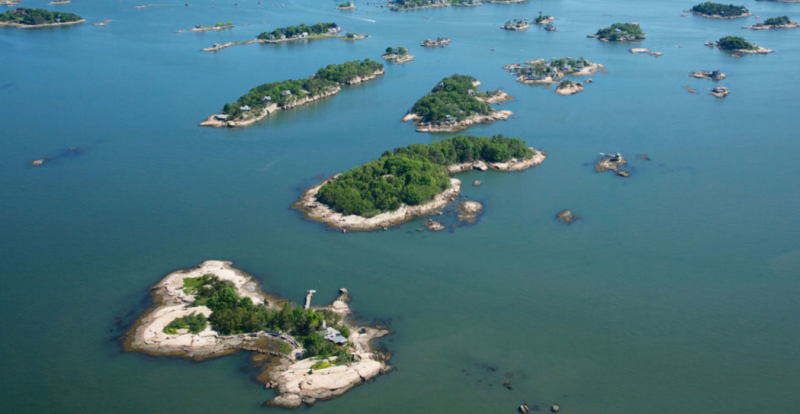 Corporate Governance, Compliance, Risk and Business Management processes are like islands… separate on the surface, but connected down in the deep. IT Systems who have entered as silos that do not support G.R.C processes, which by their nature span enterprise divides. 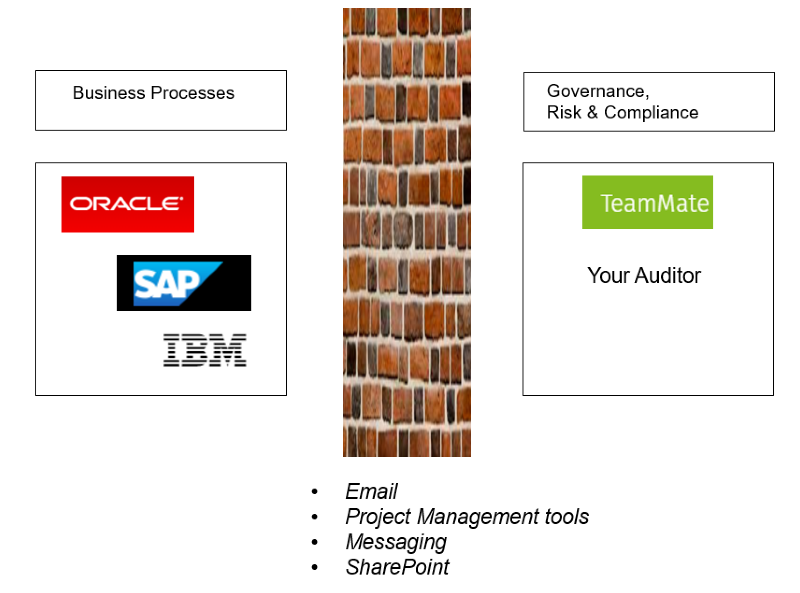 Typical, legacy collaboration tools such as email and Sharepoint, provide very static and “untraceable” streams of communication between departments and audit teams. 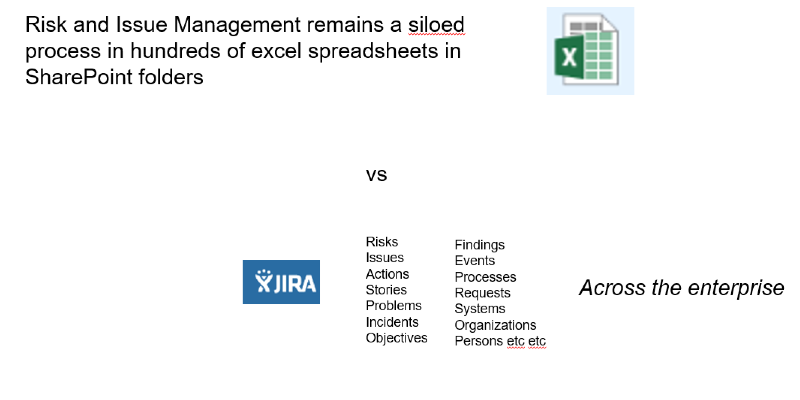 As an example, RAID log management is highly “siloed” where many departments create their own spreadsheets, that sit in Sharepoint or shared server folders. They are useful as a control log but entirely disconnected from the rest of the organization. 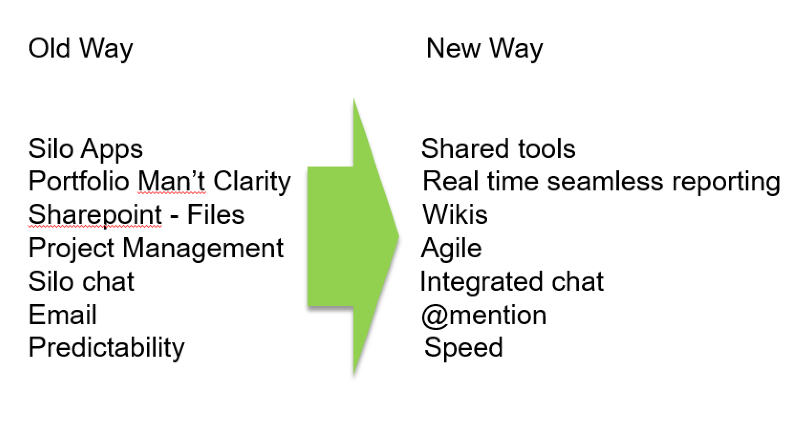 By contrast, these can all be captured and managed in Jira. 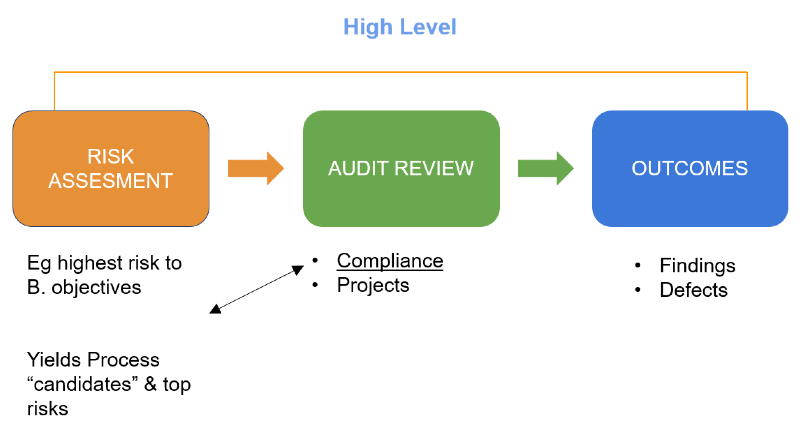 At a high level, risk assessment processes can then feed from risks identified across an organization pro-actively, instead of reviews that typically only uncover risks/findings/problems after the fact. 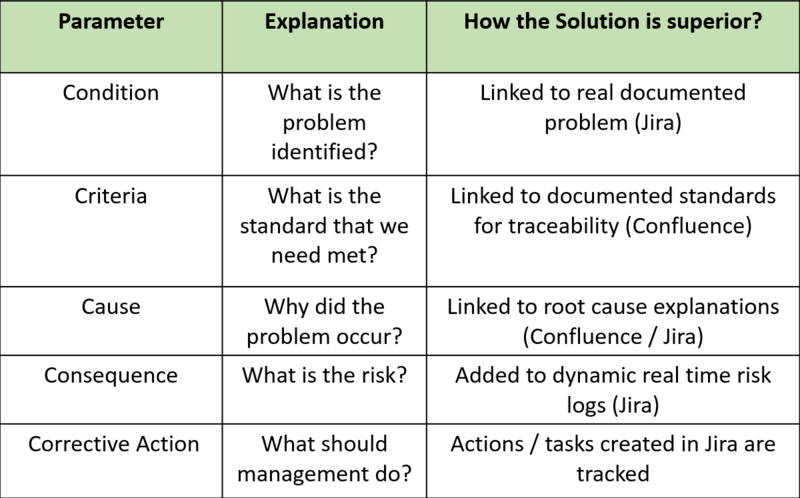 In addition, using our pre-packaged templates we can create issue types such as “findings”, “violations”, risks and problems. Jira is a very flexible, configurable solution technology.